Andy Jonusaitis is Of Counsel in the Corporate Practice Group. Andy represents private and public companies in mergers and acquisitions, equity financing transactions, corporate governance and compliance and contract matters. Andy is an experienced counselor and advisor for technology-based companies, including companies in the direct marketing industry as well as online businesses. 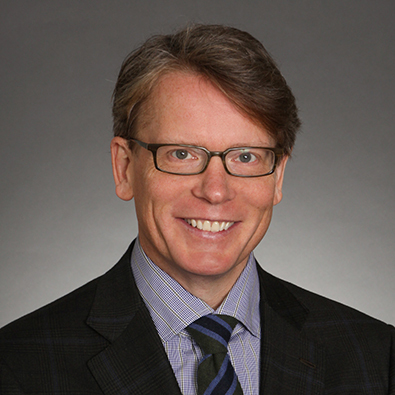 Andy left the Firm in 1998 to serve as Vice President and General Counsel for May & Speh, a publicly held marketing technology and services company (now Acxiom Corporation). He later joined Tunes.com as Vice President and General Counsel. Tunes.com operated several music oriented internet sites, including RollingStone.com, prior to its merger with Emusic.com, a public internet music commerce company, in 2000. Emusic was subsequently acquired by Vivendi Universal in 2001. Andy then served as Vice President, Chief Privacy Officer and General Counsel of Toplander Corporation, the owner and operator of MarketsOnDemand, a direct marketing data company, and JobsOnline.com, a jobs listing website. In 2002 Toplander sold the MarketsOnDemand business to Acxiom Corporation. Andy rejoined the Firm in April 2003.